We urge the Treasury Select Committee to organise an inquiry into the long term development of the money supply. That means we are asking for our concerns to become part of their agenda. That is new. But can we afford to continue the way we have been going? We, the undersigned, request an inquiry into the long term development of the money supply, in particular the share of Cash and the share of Credit in the economy. Since nobody questions who generates the interest necessary to pay for credit, we object to buying into the myth of a “credit crunch” whilst on-line statistics of the Bank of England show that the Cash share of the money supply has continually dwindled. The reality is therefore a “cash crumble”. Many of us have studied our financial system over many years and some have taken legal advice resulting in Parliamentary scrutiny via the Treasury Select Committee. 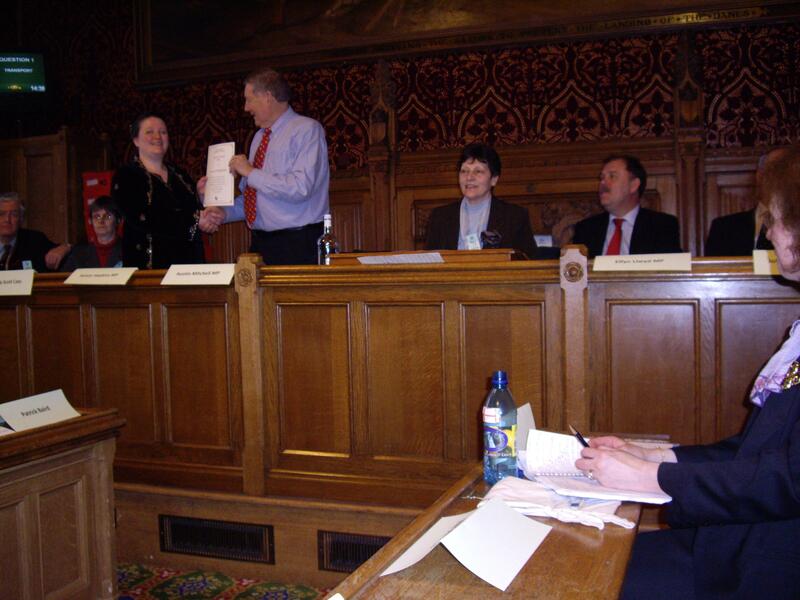 Others have submitted “Green Credit for Green Purposes” in response to the Committee’s inquiry into the Stern review which was published in February 2008. Given that we all live longer, we request an independent inquiry into the long term money supply as the tap that should fuel our economy sustainably. Wholesale and retail Credit have monopolised the supply. To compensate for the imbalance generated, the Government should spend Cash into the economy and gradually increase its share for the sake of future generations. Instead of growing the financial economy, it should use its ability to create “Cash” or “narrow money” to fuel genuine growth in the real economy: cover pension bills fairly, pay for public services adequately, make public buildings energy-sufficient and adapt to climate change effectively. Most of us have been victims of rising prices that don’t match inflation figures and many of us have experienced practices of banks and other authorities that we don’t consider honourable. We are all aware of social problems that are caused by a financial system that is neither sustainable nor fair. We therefore urge the Treasury Select Committee to organise an inquiry into the long-term development of the money supply. The Forum for Stable Currencies has provided room for debates between Parliamentarians and concerned citizens regarding our financial system since 1998. With input from the Christian Council for Monetary Justice, Local Exchange Trading Systems and many likeminded groups internationally, we have covered the full spectrum of monetary, financial and economic causes that are historic and systemic. We have also covered the effects that range from “bank victims” and overindebtedness to bankruptcies and suicides. We have attended meetings of the Monetary Policy Committee and the Economic Affairs Committee at the House of Lords and the Treasury Select Committee at the House of Commons. We have also made written submissions to these committees. Whilst they were published, we have never been invited to give evidence or been heard in person. Our last submission was Green Credit for Green Purposes in response to the Stern Inquiry. Since the Treasury Select Committee sets its own agenda, this petition is our request to make money supply or public credit the topic of an inquiry. More on blog, website, archive, historic precedent and two TimesOnline articles: Ban compound interest to save our planet and Is interest-free lending inevitable? Since Cash is interest-free, the Cash : Credit ratio in the money supply is a measure that is much more indicative than inflation and GDP put together.